Our services are ideal for domestic, commercial and local authority clients. 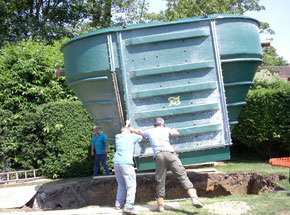 Remote sewage treatment systems are becoming increasingly popular in West Sussex, when compared to traditional solutions like cess pits and septic tanks. Modern domestic sewage treatment units have come a long way in recent years, improving in both reliability and efficiency. To get the best from your new sewage treatment system, there are some factors you should consider. It’s important to have the installation carried out by competent and knowledgeable engineers. The unit must be set up so as to work properly on a practical level, and also in a way which satisfies current government legislation. We would hate to see anyone face the expense and inconvenience of having to remove a sewage water treatment system because they hadn’t checked the legal requirements before installing and connecting it. Secondly, a sewage treatment system should be checked for compatibility with existing drainage systems on the property. This will rarely be an issue in the case of new build homes, which will be built to current codes. However, on older homes and premises, measures like commissioning a CCTV drain survey might save you a lot of hassle when it comes to connecting up and using the unit. The third factor to consider is the ongoing service and maintenance of your wastewater treatment system. Flowrite Drainage provide annual service contracts with every installation and full telephone support for all products, so you know we’ve got your back should an issue arise. Klargester and Kingspan are the industry leaders in domestic and small industrial sewage treatment systems, and Flowrite Drainage are proud to be one of the few companies in the area approved to fit and service their full range of products. 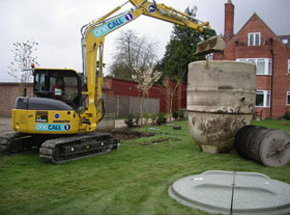 Contact us today to find out more about our range of sewage treatment services, or any of our other work.